This year’s Lagos International Jazz festival 2016 organised by Inspiro productions which coincides with the traditional April Jazz Appreciation Month (JAM) and 30 April International Jazz Day celebration kicked off with a series of JAM sessions tagged ‘Road to Lagos International Jazz festival 2016’ held at venues across the city of Lagos. The events were to highlight the importance of Jazz and its extraordinary heritage throughout April and also to publicize the festival happening between the 29th of April and 1st of May 2016. Jazz Roundtable Specials on Metro 97.7FM were also held every Sunday in April to support same. The JAM sessions kicked off on April 1 at Hotel 1960 – Prince of Anthony – Culture Café, Anthony Village Lagos, it was followed on Friday 8 April at The Pop Up Jazz Lounge Lekki I, Lagos and then the Ayo Bankole Centre for Arts Surulere, Lagos on Saturday 15 April. The highlights of the event were performances by leading Jazz performers and attendance by enthusiasts and lovers of the genre. Present to perform at the events were Director of SPAN Academy of Jazz and Contemporary music and foremost Jazz Musician Bright Gain, Europe based NAIJAZZ guitarist Adedeji Adetayo, classical pianist Ubong Utiah (UB4TY), Sam and the Jazz Apostles featuring Dera, the group Wired, Jazz vocalist Dapo Fasuyi, konkovibrations proponent Niyi Ige, rising Jazz saxophonist Peter Adedeji, trado-soul and jazz singer Empress and a host of others. Various personalities attended the events and these included top promoter Wale Oluwaleimu, Emmanuel Odole of Blackdrum.TV, Yinka Oni former chairman National Bank, Demola Ogunfolu, Kunle Ogunneye – Country director – Mall of Africa, Sean B, Chairman of the Hotel 1960 group Akin Adeoya and his lovely wife, Mr. Yemi Akinbode, Jazz Pioneer in Nigeria Tunde Kuboye of the Jazz 38 and extended family fame, Muyiwa Majekodunmi of the Jazzville fame, Austin Of Luzol and a host of others. The last JAM session for April is slated for Saturday April 23 at the Shuga Lounge, Hotel 1960 Eagles Park, Ikeja, Lagos. April is designated annually as Jazz Appreciation Month (JAM) Jazz Appreciation Month and its climaxes into the International Jazz Day on April 30 recognized by the UN and UNESCO. The Lagos State government led by His Excellency Governor Akinwunmi Ambode is marking the International Jazz Day 2016 this year at the Lagos state house, Alausa. The Lagos International Jazz Festival is Nigeria’s Premier Jazz Festival happening over 3 days in the Lagos Megacity. The event has a standard edition happening at the Freedom Park from the 29th to 30th of April and a Luxury edition happening at The Bay Lounge Waterfront Lekki On May 1 both events start at 6pm. The lineup of acts for the event include Mike Aremu, Sharp Band, Orliam, Herbert Kunle Ajayi, Skata Vibrations, Seun Olota, Adeh, Akeem Lasisi and a host of others. For more information on the Hard Rock Hotel & Casino Lake Tahoe and for room reservations, visit www.HardRockCasinoLakeTahoe.com or call 844-588-ROCK. With Festival season in full effect Jammins Events has planned a fest of their own, “Reggae Jazz Fest”. A two day, two city festival for all jazz and classic reggae lovers alike. 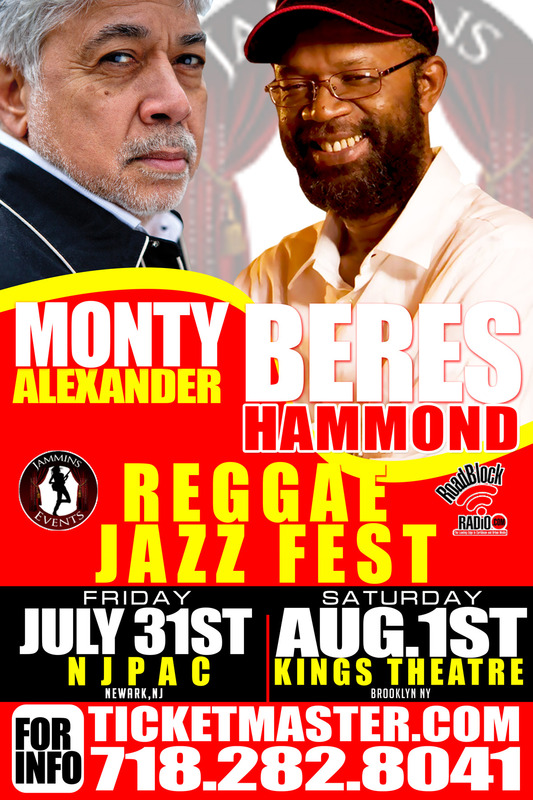 The “Reggae Jazz Fest” will include a live performance from Reggae Legend, Beres Hammond and his House of Harmony band along with the performance of a lifetime from Reggae-Jazz pianist Monty Alexander. The first show will take place at the New Jersey Performing Arts Center (NJPAC) in downtown Newark,NJ on Friday, July 31st and the second show will take place at the newly renovated Kings Theatre in Brooklyn,NY on Saturday, August 1st. Self-taught Pianist Monty Alexander has built a reputation exploring and fusing the worlds of American jazz, popular song with the music of his native home Jamaica. To date Alexander has recorded over 70 albums as a leader. Alexander has performed and recorded with artists from every corner of the musical universe and entertainment world: Frank Sinatra, Tony Bennett, Ray Brown, Dizzy Gillespie, Sonny Rollins, Clark Terry, Quincy Jones, Ernest Ranglin, Barbara Hendricks, Bobby McFerrin, Sly Dunbar, and Robbie Shakespeare, among others. 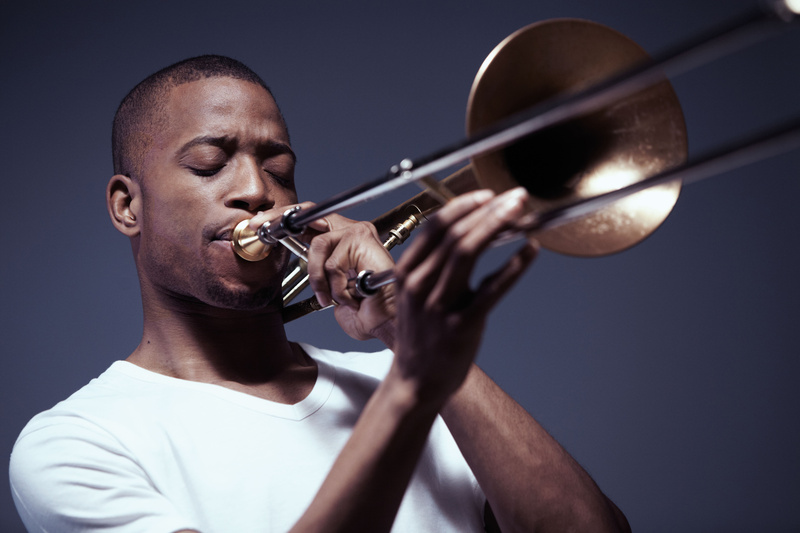 Alexander has toured the world including historic NYC music venues: Lincoln Center, Blue Note, and Carnegie Hall. In August 2000, the Jamaican government awarded Monty Alexander the title of Commander in the Order of Distinction for outstanding services to Jamaica as a worldwide music ambassador. 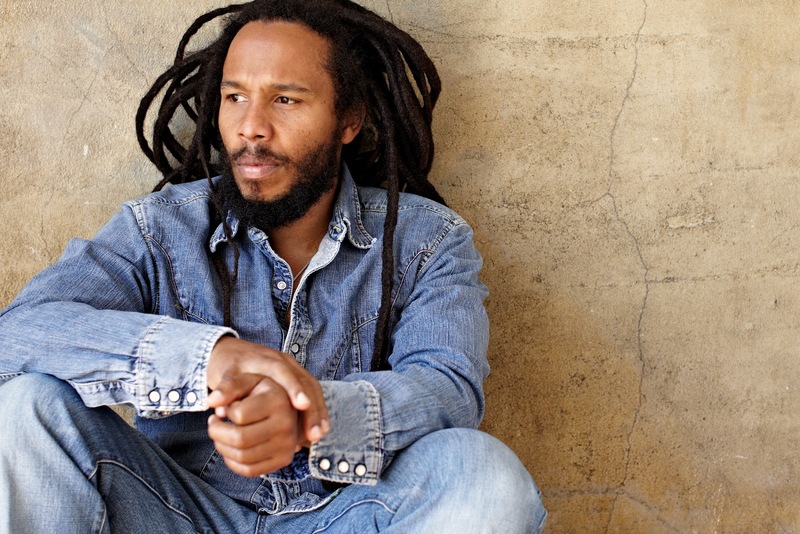 After Jammins Events’ sold out Mother’s Day Weekend in Kings Theatre, Reggae Jazz Fest is the latest anticipated show coming to New York & New Jersey. Seats for Reggae Jazz Fest are selling quickly. Doors open on Friday, July 31 at NJPAC at 7pm and on Saturday, August 1st at Kings Theatre at 8pm, Showtime is one (1) hour after doors are opened. Tickets for the #ReggaeJazzFest range from $69-$125 and are available for purchase now online on http://www.ticketmaster.com / http://www.njpac.org / http://www.kingstheatre.com or through your local ticket outlets. There is also the highly requested iEarMedia VIP Experience package which includes transportation to concert venue, meet & greet, beverages, pre-party access and additional features. For more information and tickets call 718.282.8041. Reggae Jazz Fest will be the a memorable way for the Tri-State to celebrate their love for Reggae and Jazz music and this is only the beginning! Alpha grads Channeil Chirstian (trumpet), Luke Thomas (upright bass) and Ian Hird (sax) join Alpha’s newest music teacher Andres Lopez (keys) and Marc Antony (percussion) for an evening of live outdoor jazz in the parking lot of Southdale Plaza at 1 South Avenue in the Halfway Tree area of Kingston. 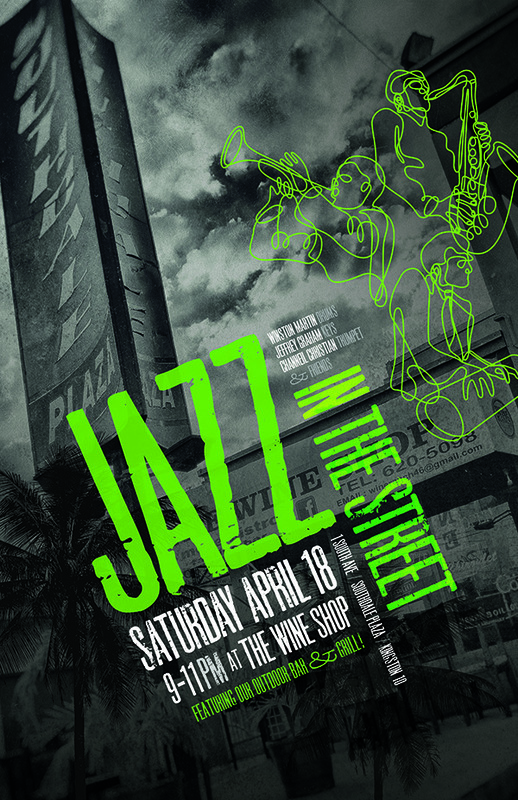 The Wine Shop‘s special live grill and exclusive wine list make Jazz In The Street a one-of-a-kind Kingston experience. 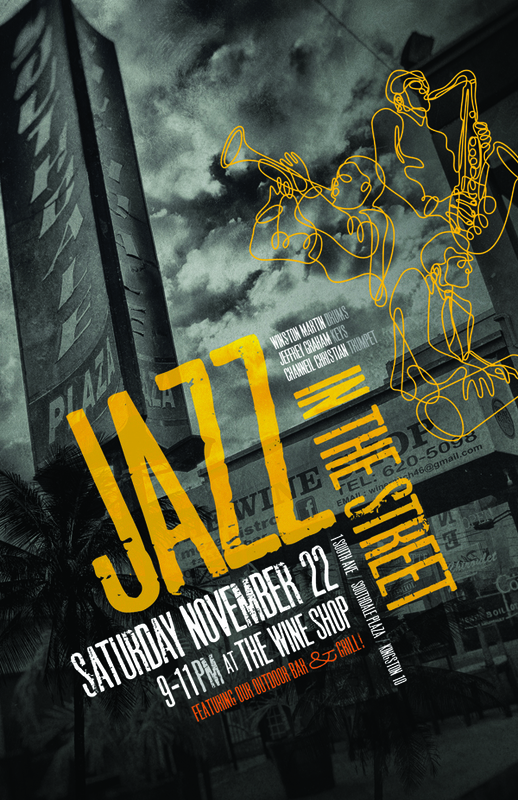 The Wine Shop is very pleased to present Jazz In The Street on Saturday November 22 at Southdale Plaza in Kingston. Enjoy the live, open air sounds of members of the Alpha All Stars–Channeil Christian on trumpet, Jeffrey Graham on keyboards and percussionist Sparrow Martin–street side in Southdale Plaza. Savor the live grill with chicken, lamb and fish cooked to order as well as a pop-up outdoor beverage and desert bar. A special playlist of Jamaican jazz music begins at 8 pm and the live music starts at 9. The outdoor lounge and dining area opens at 8pm. Please contact us at 620-5098 for dinner reservations between 8 and 9.